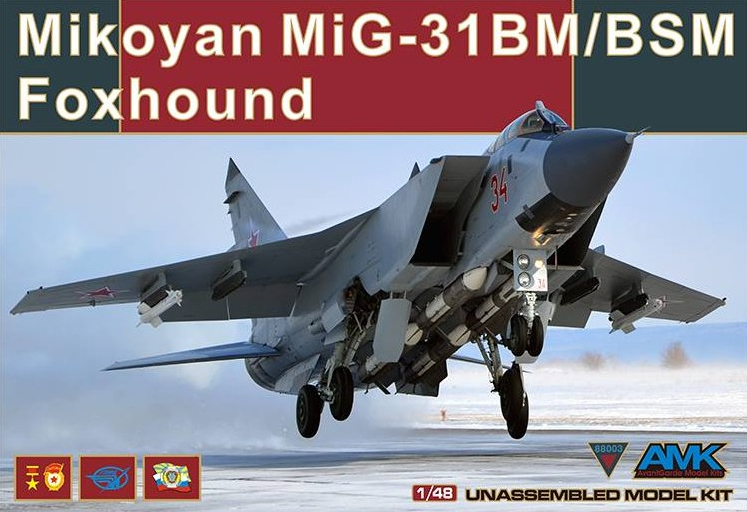 The Modelling News: MiG-31 BM Foxhound in 48th scale - Have AvantGarde Model Kits made a marvellous MiG? 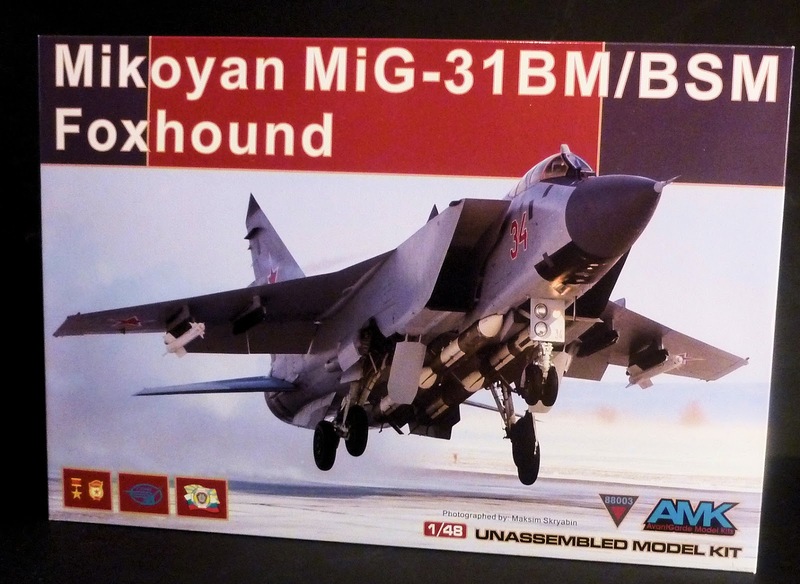 MiG-31 BM Foxhound in 48th scale - Have AvantGarde Model Kits made a marvellous MiG? 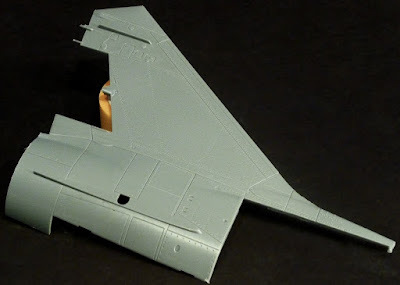 our man in Belgium Corentin has already built the Fouga CM.170 Magister kit in 48th scale from AMK Models – today Nic from Brussels looks at the second of his kits from this new model maker. 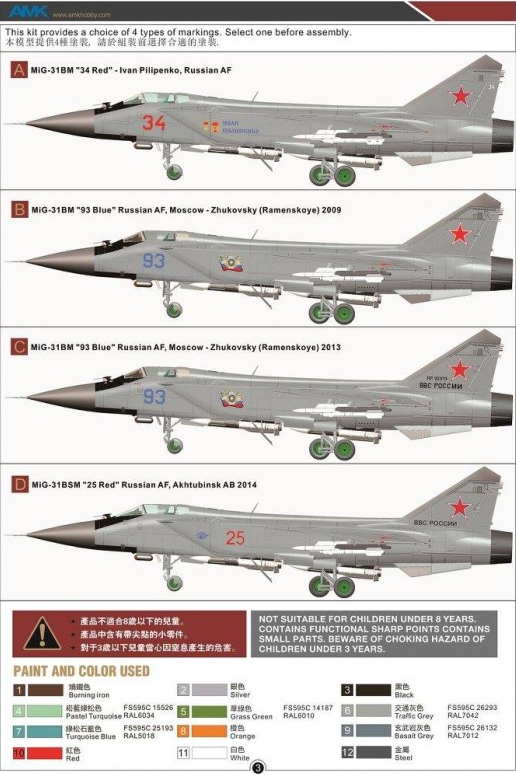 The new 48th scale Mig-31 BM/BSM Foxhound kit is a promising kit in previews we have seen but is it any good in the flesh? 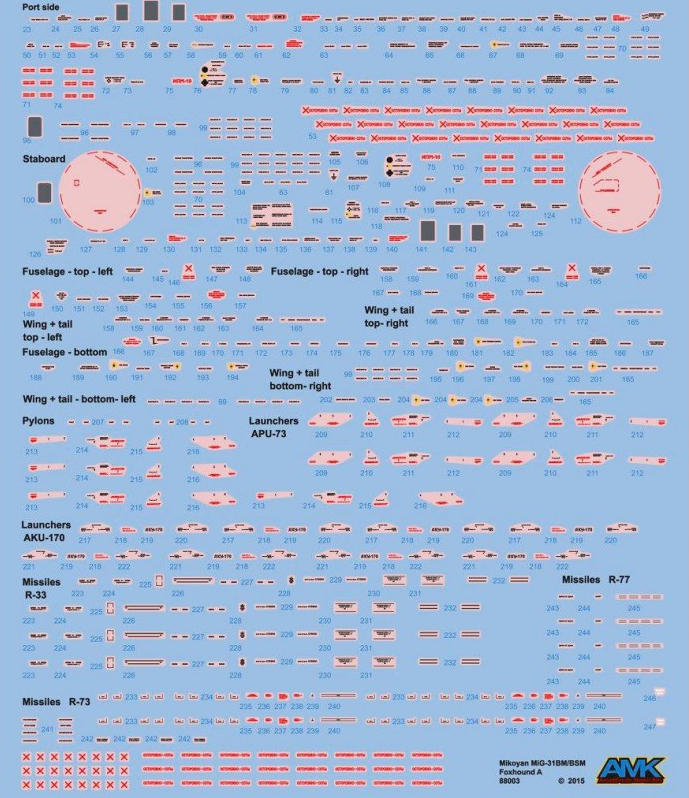 Let’s take a look before Nic builds the kit. It was 1992 and I drove to the UK with my first, second hand VW Polo to the Farnborough airshow. I always wanted to go there – not sure if I would make it though, since the maximum speed of my car was about the same as that of a normal car driving in reverse – so there I went on my left-hand driving adventure. With the wall going down not so long before, there was a good chance of seeing some Russian hardware. 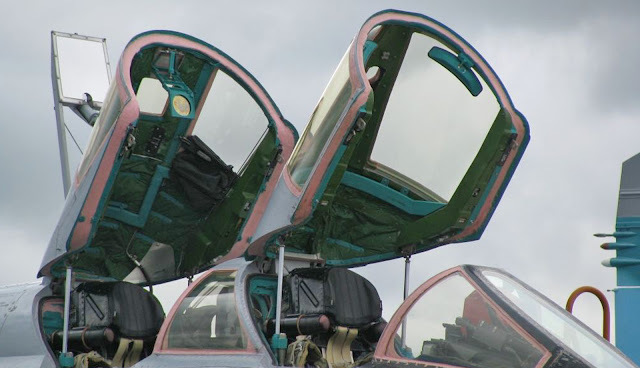 Boy, was I in for a treat: A Su-27 Flanker and a Su-34 Frogfoot, a Yak-38 Forger (most surely the uuugliest aircraft ever) the tarmac-melting Yak-141 Freestyle prototype and the two main (red) stars of the show: The Tu-22 Backfire and the MiG-31 Foxhound. Huge aircraft both! 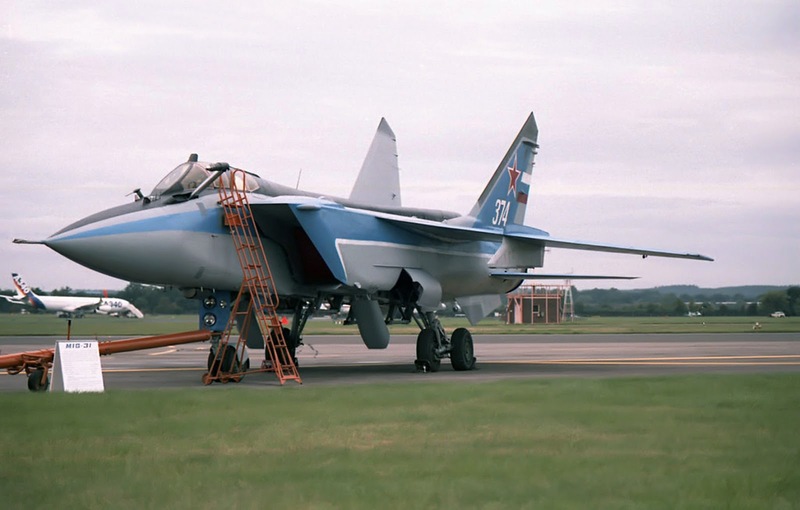 Almost 25 years later, I still remember the incredible noise of the blue-flamed after-burner of the Backfire and the size of the very fast-looking Foxhound fighter jet. Now, just to make sure: this is a BIG kit. 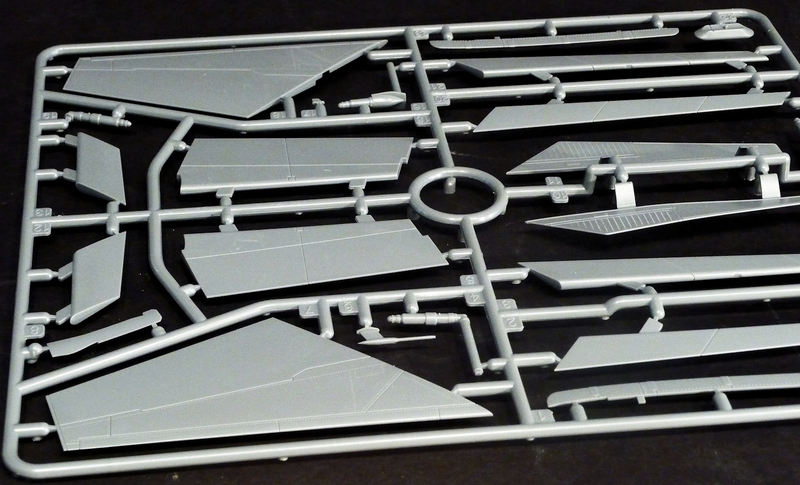 It is about 2 mm larger than a 1/32 scale F-16!! 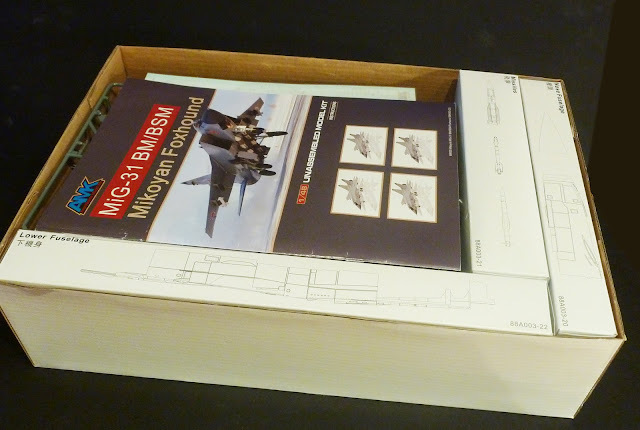 Big plane, and a big box! This is by far the biggest kit AMK has done. The previous ones – Delphin, Fouga and Kfir – are all great kits, so let’s find out if this one is too. Inside the box, you’ll find ... 3 more boxes. 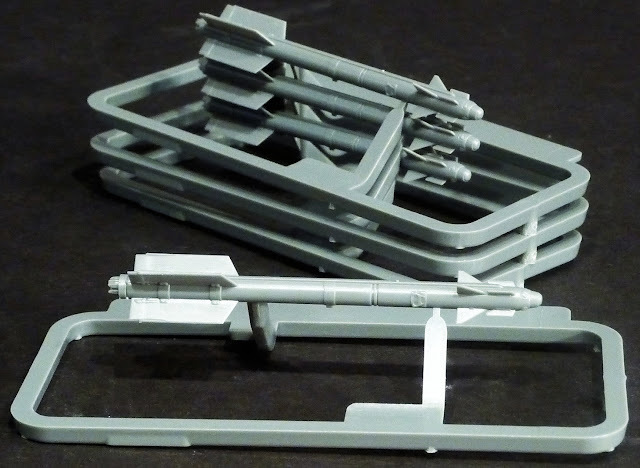 Each contains some special parts: the slide-moulded nose section of the kit, the big upper fuselage part and the missiles, all done with slide-moulded technique. The box is filled with parts that are all highly detailed. 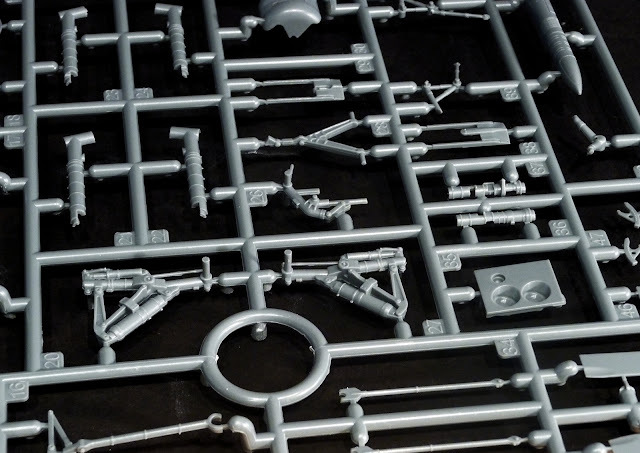 In all, you have 287 parts on 26 sprues. It’ll keep you busy, that’s for sure. 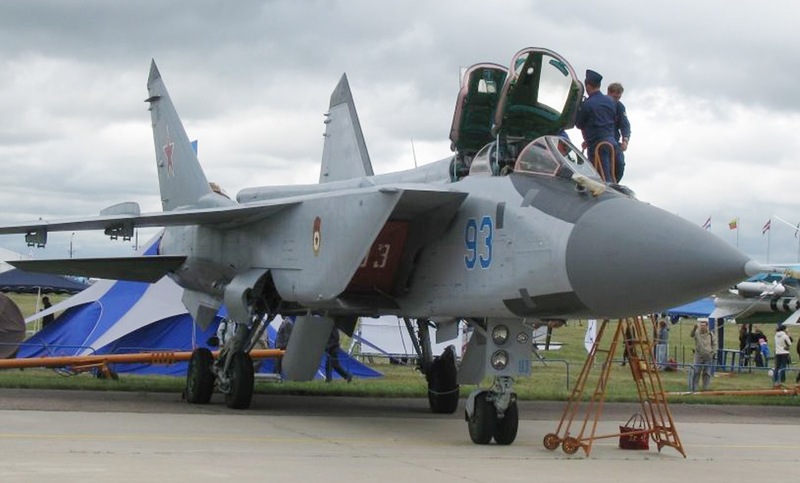 MiG-31 BSM “Red 25”, Akhtubinsk AB in 2014. 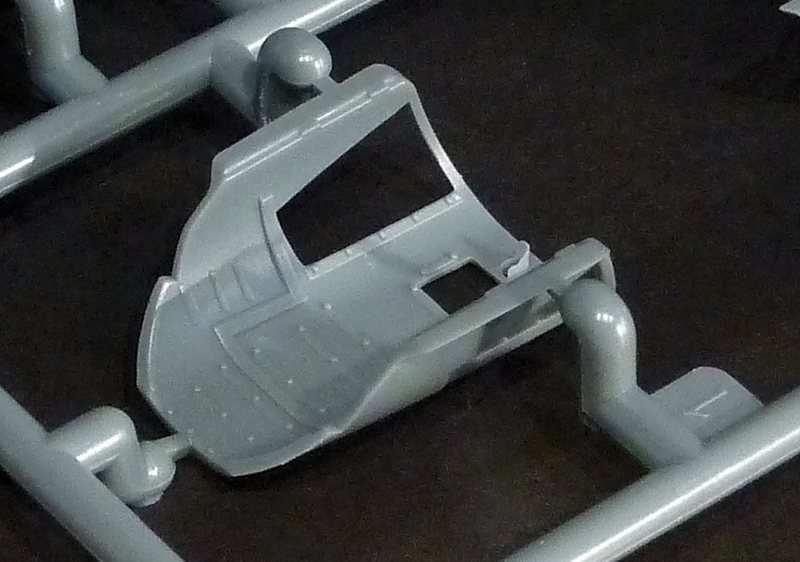 The air intakes and main landing gear bay is built up out of 13 parts, all impressively detailed. Painting and washing is all that is needed to bring out the details in these areas. Like with any kit, one of the most important things is the fit. With the major parts cut, I taped them together to see if the fit would be okay. And look at this: pretty good, yes? 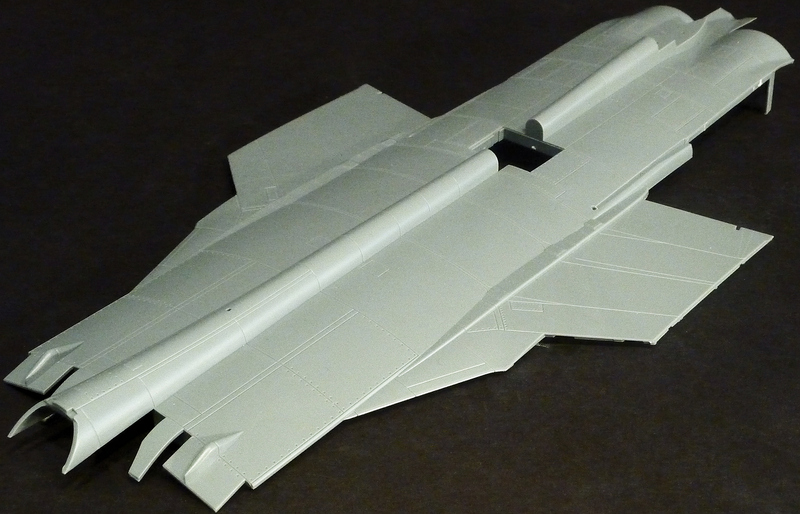 The vertical tail and aft side fuselage is one one part and will need some adjusting, but it’ll probably be quite simple. Now, to be honest, it’s a minor detail and probably very few people would even notice this. 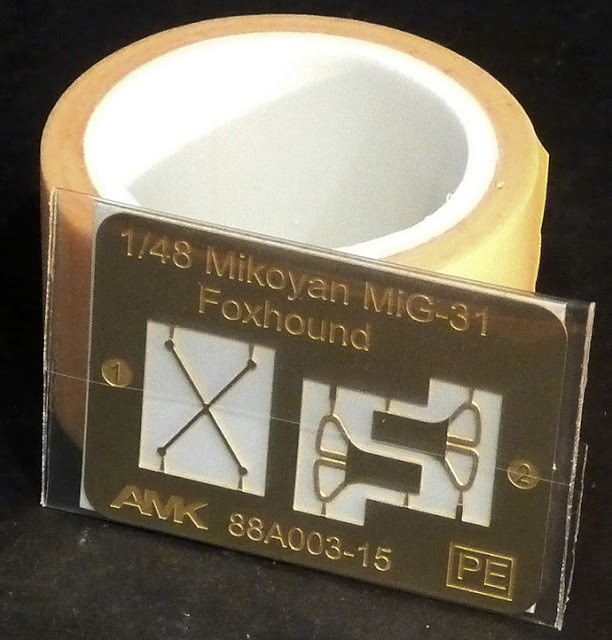 But it’s cool that AMK will modify this part in their next release. 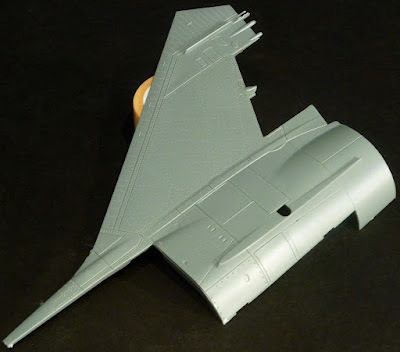 The wings join the fuselage in a simple way. Detail is impressive, as is the fit. The lower wing part forms a strong structure for the upper wings, so that you can’t get the angle wrong. 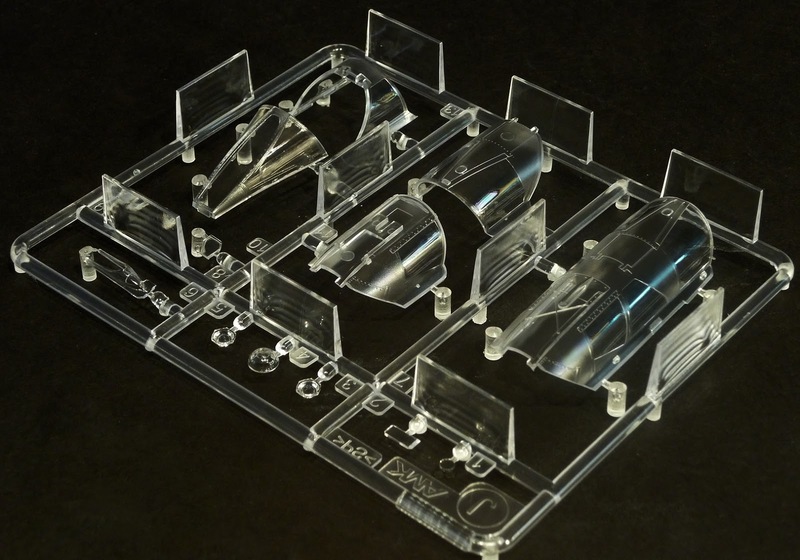 Ergonomics in a model kit! 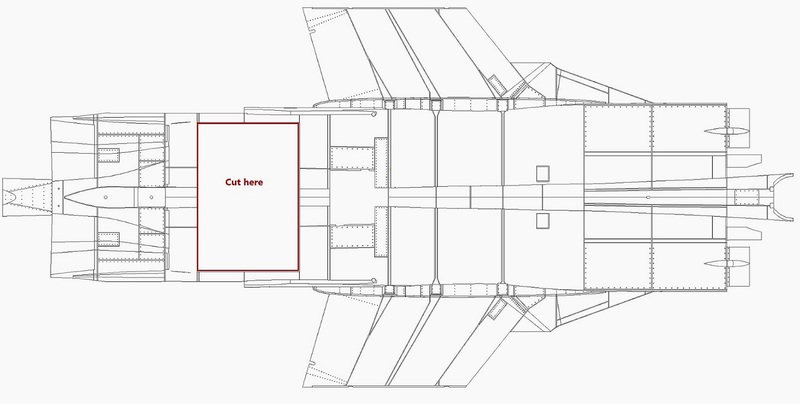 Ow, and you can choose the position of the flaps and slats. 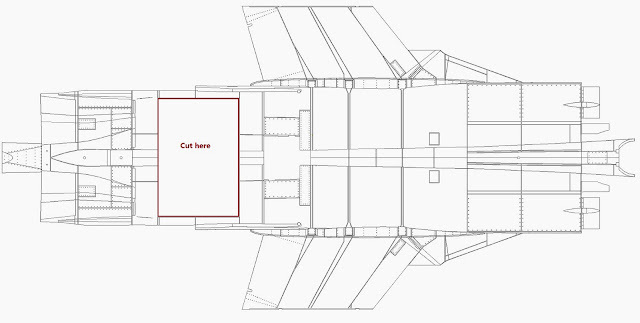 The forward fuselage is just one part, with the cockpit sliding in it. Here’s a shot of the nose section and the radome fitted! To make sure that the finished kit stays on it wheels, AMK provides two metal weights. 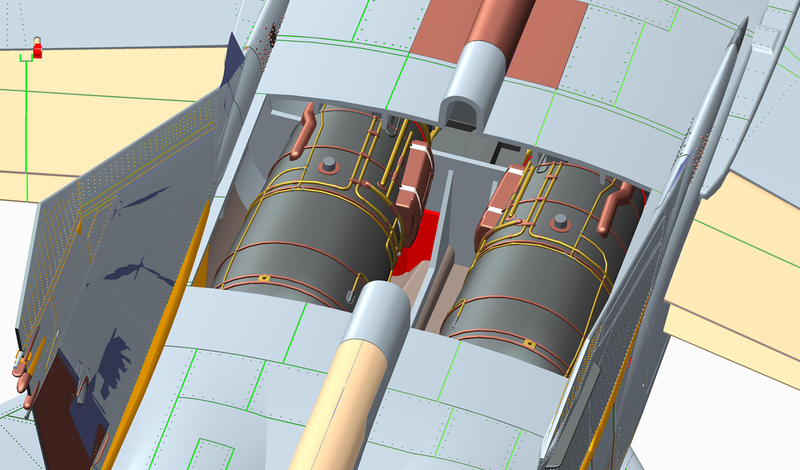 The air-intakes are nicely detailed as well, with the option to display the lower intake doors open or closed. Looks like the AMK engineers did their research! 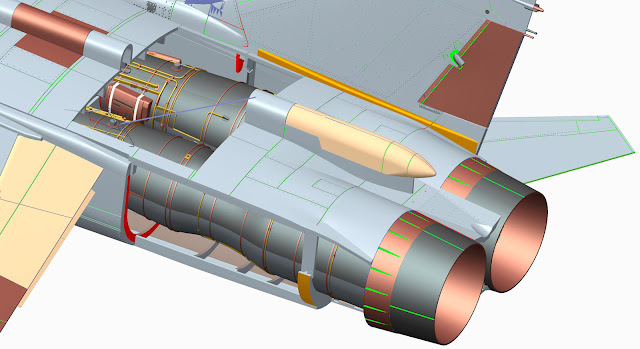 Here’s a closer view of the intake parts and the nicely detailed nose wheel bay. The elevators (horizontal tails) can be positioned either neutral or down. Look how nice these parts are moulded. 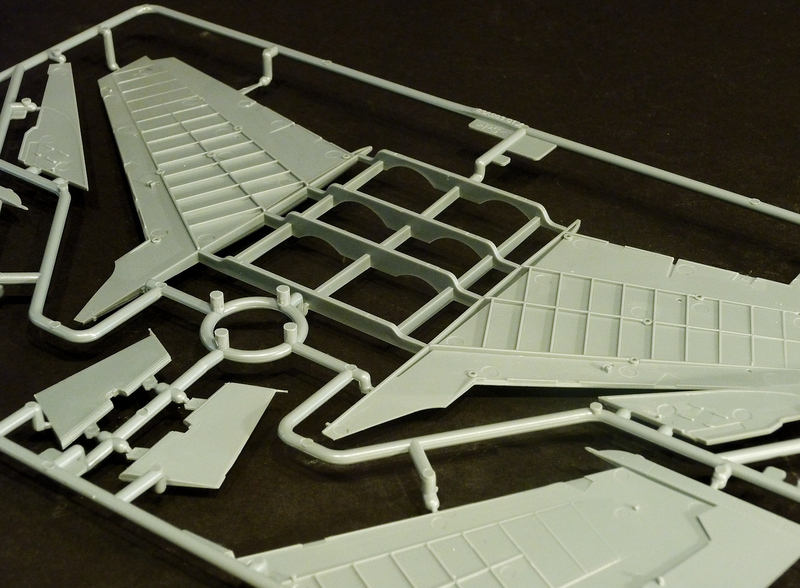 The landing gear doors are detailed in and out. 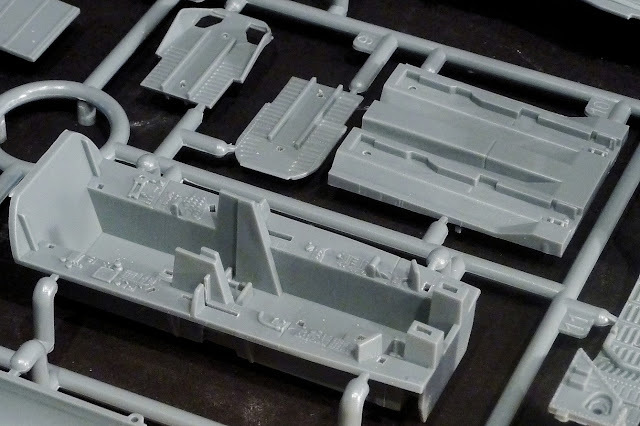 These parts can make a big difference in a finished kit: painting, washing and weathering will be a feast. 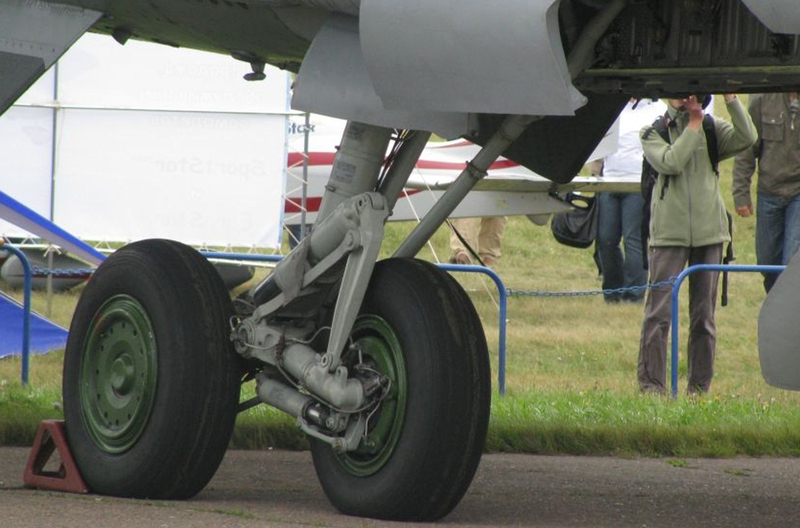 The MiG-31 has a very complex main landing gear with each two wheels positioned a-symmetrically. AMK did their best to make it easy for us modellers. 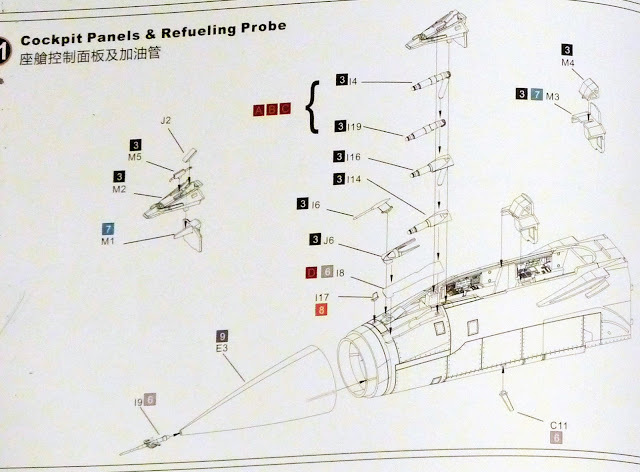 It looks impressive in the instructions; I hope it will build okay too! The main wheels and exhaust parts. The ejection seats are impressively detailed: each seat is built up out of 10 parts. 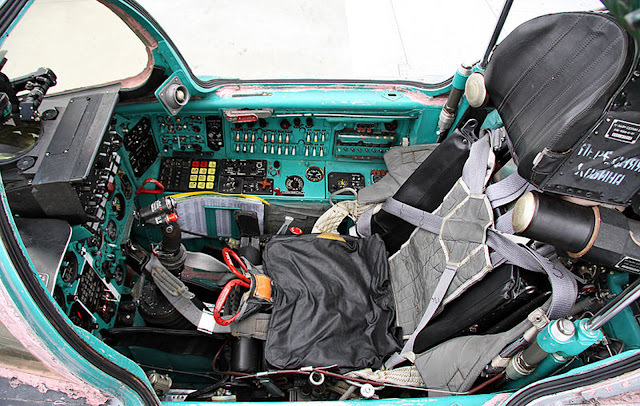 The only thing that I think is a pity, it that the kit doesn’t provide seatbelts. So, I asked AMK why. Here’s what they replied: “We did the design of PE (belts), but cancelled at the last moment because of time schedule consideration. 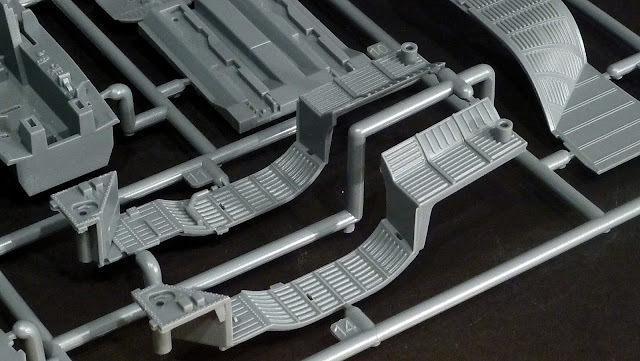 Probably, we will have them included in the coming B/BS version soon.” That is great news if you ask us as they could do with the extra detail to match the rest of the kit’s standards. 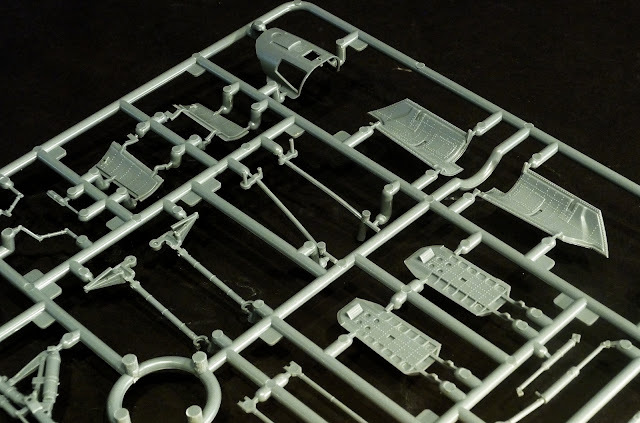 AMK has been very considerate for whomever wants to build this kit: two sets of canopies are provided: one in one piece and one with all the parts separate, so you can position both canopies in an open position. The photo etched cockpit that slide into the front fuselage. I hope this will work out okay, but the parts sure look nicely detailed! The missiles in this kit (R-33, R-73 and R-77) with are the pylons are of an unseen quality. I don’t like building missiles on a kit, but these are simple too nice not to build. 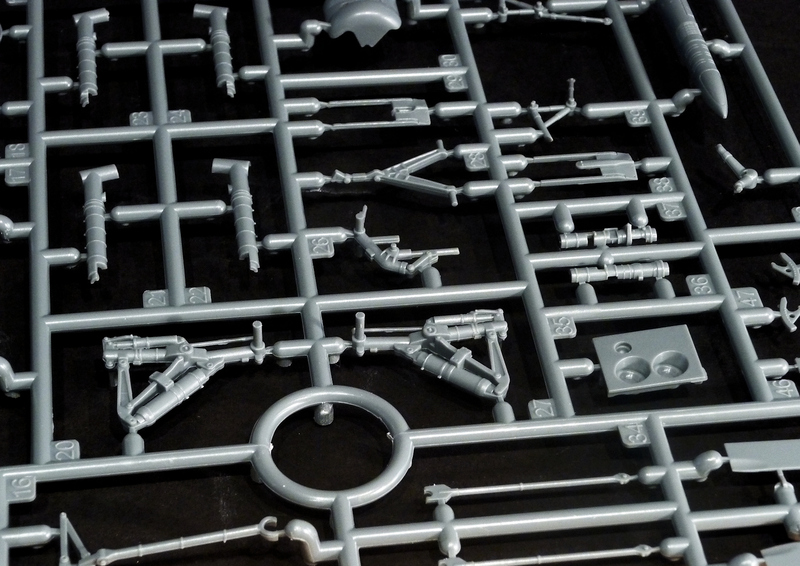 And because they are side-moulded, it’s just a matter of painting and weathering them. The instructions are very clear and easy to follow. Just one little thought about the pages showing the markings though: these aren’t printed very sharp. Don’t know why, because the pages showing where the stencils go are clearly printed. 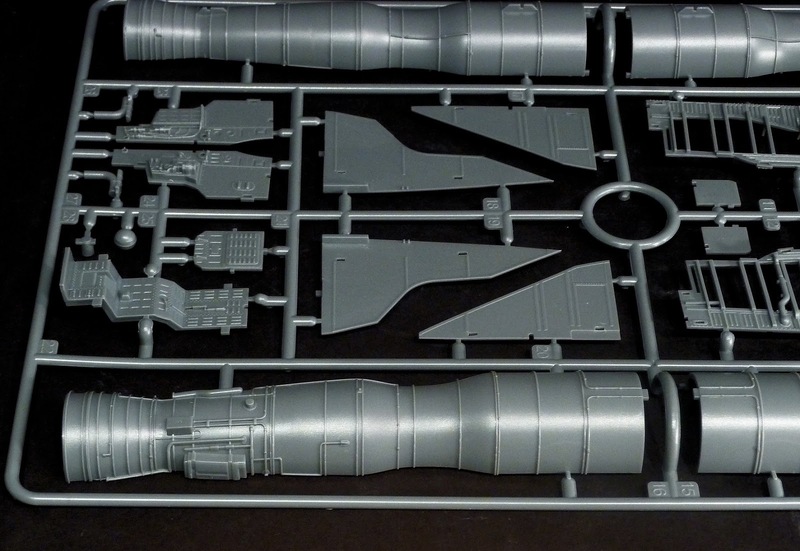 This is only the fourth AMK kit and I have to say: it is a very impressive one. 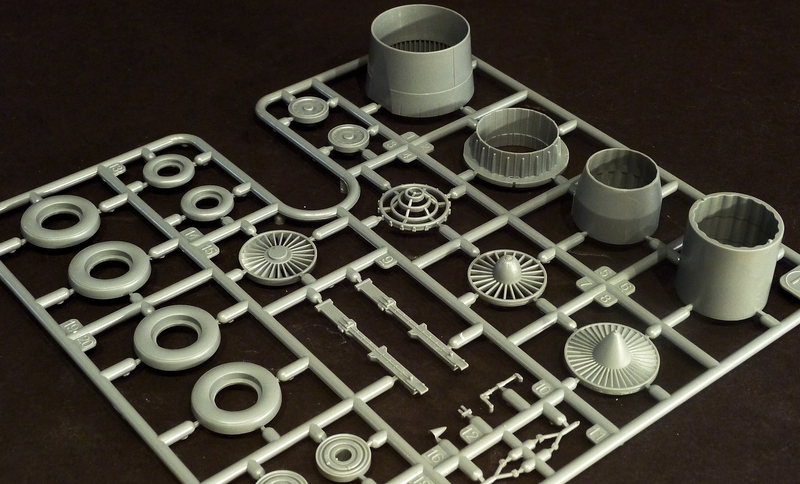 Probably one of the best kits I’ve ever seen in 1/48! The details, the fit and the surface detail is absolutely fantastic. At TMN we always want to pick out one or two things we think could be done better with kits - but in this case: there isn’t much to criticize as it’s simply a great kit. I think the price point of 65,00 € is really justified. 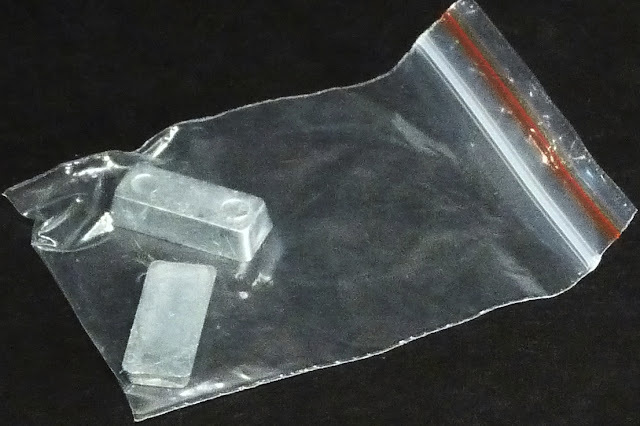 Kits in a similar size and scale often are more expensive. With this kit, AMK positions itself on top of the modelling business. World class! 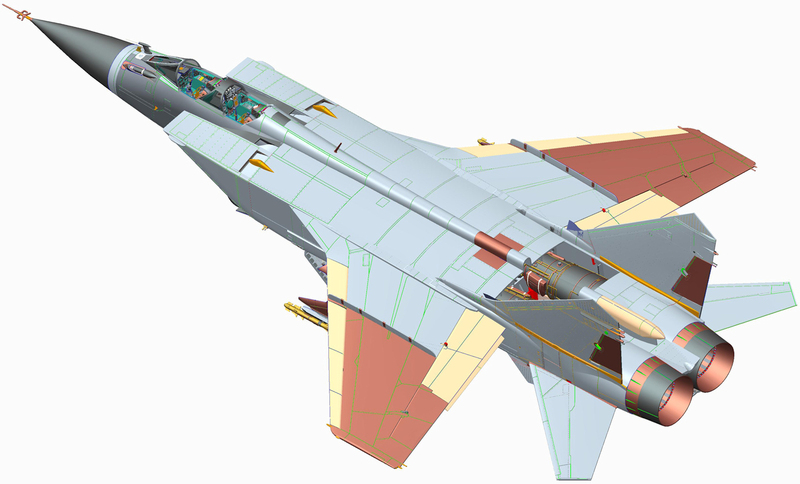 In a few weeks, we’ll bring you a full building report of this AMK MiG-31 Foxhound. 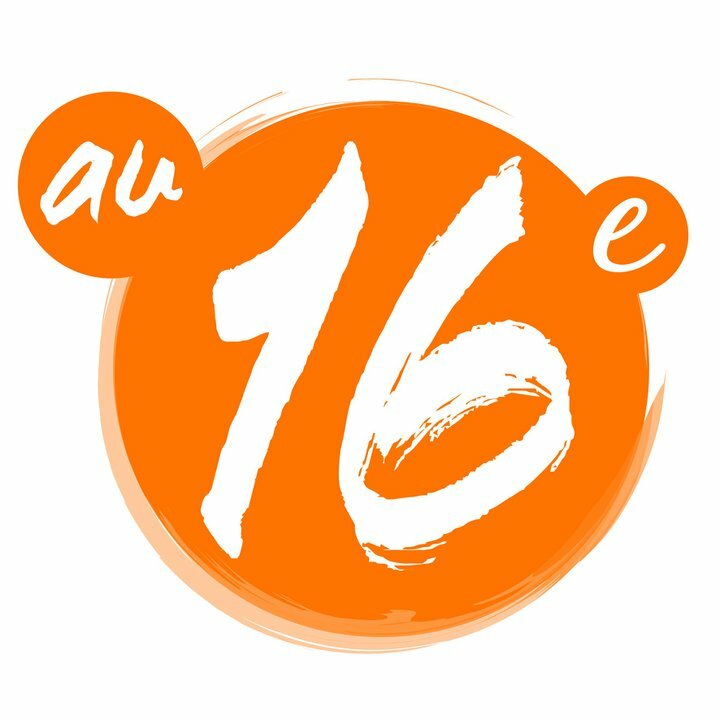 Thanks to Au 16 Escadron in Brussels (Best model shop in Brussels) for providing us with this kit!